SEIZED: Guns and marijuana seized at a beach in Cedros on the weekend by police. TWO days after police discovered over $100,000 worth of marijuana and guns at a beach in Cedros, gunshots were fired in the village which has now caused panic among villagers. The villagers said they are afraid to leave their homes. According to police, the gunshots were heard at about 10 pm on Sunday in the village of Fullerton. Residents said when they looked outside, they saw the silhouette of men with guns in a boat who later sailed off. Some of the villagers believe the shots were fired as a warning to villager not to alert the police to illegal activities taking place. On Saturday morning police seized a large quantity of marijuana and guns. Police said that at 4 am, officers went to a beach off Columbus Bay Road in Cedros where they saw two men leaving a boat. The men were walking towards the shore holding bags. On seeing the police, they dropped the bags and ran into bushes. Police chased after them, but the men managed to elude capture. When police searched the bags they found seven guns including three revolvers and four pistols. One of the gun was loaded with five rounds of ammunition. Another bag contained 10.8 kilogrammes of marijuana with an estimated street value of $108,000. Ag Snr Supt Neville Adams is spearheading investigations. 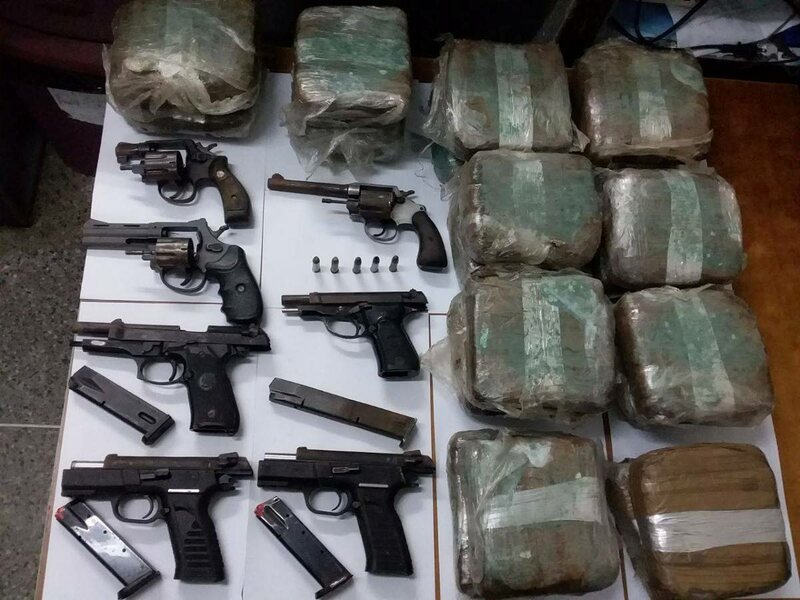 Reply to "Drugs, guns found in Cedros"